Michigan State Capitol building in Lansing. “It’s just to get the message out that people are interested in securing their rights and letting other people know they’re here, they’re not going away, and they’re not going to be quiet,” he said. 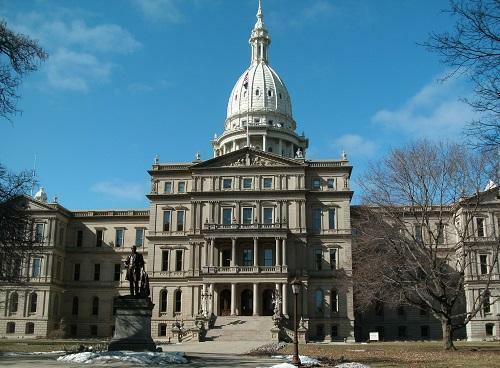 The Michigan legislature is currently pondering legislation that would allow for concealed pistol carry without a license. There are also plans for legislation to make registering firearms optional in the state. Gun control advocates say increased regulations would reduce gun violence. But Second Amendment enthusiasts like Kimberly Moshier from Oxford, say there are misconceptions about gun owners.